Kargil is the second largest urban centre of Ladakh, which is situated 204 km from Srinagar in the west and 234 km from Leh in the east at an altitude of 2704 mts. 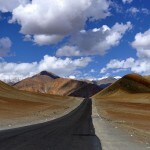 Kargil serves as an important base for adventure tours in the heart of the Himalayas. Kargil mainly serves as an ideal base-station for adventure activities-like trekking, mountaineering, camping, river rafting etc. in the Himalayan Valley. Kargil also offers some interesting walks along the riverbanks and up the. The best among this is the one leading to Goma Kargil along a 2 km long winding road, which passing through some of the most picturesque part of the town, presents breathtaking views of the mountains cape that unfolds as one ascends alongside and across a tumbling mountain stream. 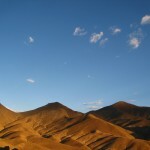 It is best taken in the afternoon as the setting sun plays its magic with the different hues and shades of the hill in view. Road: The J&K SRTC operate regular buses including deluxe coaches between Srinagar and Leh / Kargil. Local Transport: Cars and jeep taxis can be hired at Srinagar and Leh for Kargil. Mulbekh Gompa: Perched atop a rocky cliff, the Mulbekh Gompa (monastery) dominated the valley. Like all Buddhist monasteries frescoes and statues adorn it. Mulbekh Chamba: The chief attraction of Mulbekh Champa is a 9 mts. high rock sculpture in deep relief of Maitieya, the Future Buddha. Urgyan-Dzong: This meditation retreat lies tucked away in an amazing natural mountain fortress high up in the Zanskar range. The surrounding hillside reveals several caves where high-ranking Buddhist saints meditated in seclusion. The main approach is a footpath laid through the only gap available in the rocky ramparts. Shergol: Another picturesque village of the Wakha River Valley, Shergol is situated across the river, right of the Kargil-Leh road. 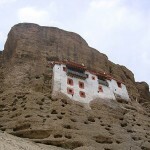 The main attraction is a cave monastery, which is visible from a far as a white speck against the vertically rising ochre hill from which its appers to hang out. Shergol is a convenient base for an exciting 4-day trek across the mountain range into the Suru Valley. It is also the approach base for visiting Urgyan-Dzong, a meditation retreat lying deep inside the mountains surrounding the Wakha River. 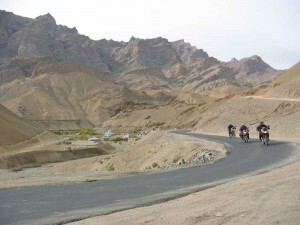 Mulbek: Mulbek is situated 45 km from east of Kargil on the road of Leh. It is at an altitude of 3230 mts., does Buddhist dominate an area. 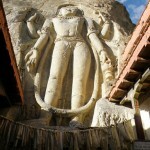 It is situated on the banks of the Wakha River, which originates from Zanskar range and drains into the Suru at Kargil. This entry was posted in Jammu & Kashmir, Kargil and tagged indian kargil, kargil ladakh, kargil town, leh kargil, Mulbekh Chamba, Mulbekh Gompa, Shergol cave monastery, Urgyan-Dzong. Bookmark the permalink.